These earrings are modelled on the beautiful white calla lily that appears everywhere in spring. They are one of my best sellers. 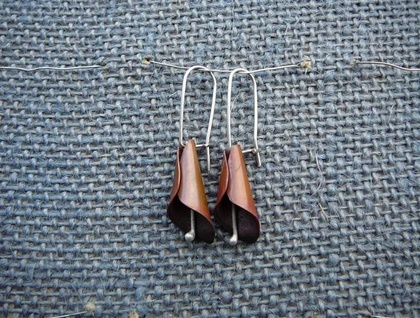 They are made from recycled copper which has been lacquered to retain it's colour, and sterling silver. 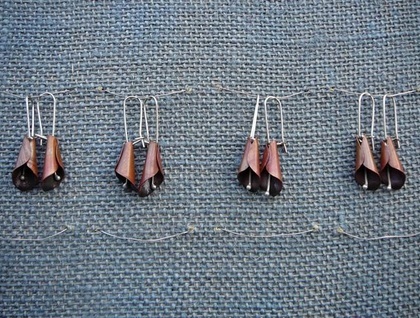 The ear wires are hand-made, and also from sterling silver. Each pair is unique, and thus those purchased may differ slightly from those pictured, but I will send you the prettiest that I have!